Здесь вы можете прочитать биографию Джона Траволты на английском языке. John Travolta (born 18.02.1954) - American actor. John Joseph Travolta was born on the 18th of February, 1954, in Englewood, New Jersey. His father, Salvatore, was a semi-pro footballer turned tyre salesman. His mother, Helen, was the entertainer in the family. She had played in a radio vocal group called The Sunshine Sisters, and had acted and directed before becoming a high school drama teacher. John also had five brothers and sisters - Joey and Sam, and Ellen, Ann and Margaret. All of them have worked in TV, film or music. This clearly had much to do with Helen's influence, but also Salvatore's who encouraged his children by assembling a small theatre in the family's basement. Young John was very quick to make his career choice. His great loves all pointed him towards a life onstage. He loved The Beatles, and learned to play guitar. He loved to dance, winning a Twist competition at a very young age. And he loved James Cagney. So enamoured was he of acting that little Bone (so called because he was so skinny) actually joined an Actor's Workshop at age 12. Employing all his talents, he played in local musicals and worked in dinner theatre. He took tap lessons from Gene Kelly's brother, Fred, and picked up all the new steps from the groundbreaking TV show Soul Train. It wasn't all work. He rough-housed with the rest - that famous nose of his was originally broken while larking about in the pool. But, as said, his childhood hobbies were a preparation for what was to come. At 16, with his parents' blessing, he dropped out of High School and went to live with sister Ann in Manhattan, aiming to break into theatre (he'd already acted in summer stock). And - financing himself by working as a cashier, a luggage handler and a ticket collector - he did. All manner of off-Broadway parts came his way as he struggled for experience - Rain, Over Here! (with the Andrews Sisters! ),The Boyfriend, Metamorphosis, She Loves Me, Bus Stop, Mass Appeal, Gypsy, Bye Bye Birdie are all on his theatrical CV. And, perhaps most importantly, so is Grease, Travolta touring with the show in the minor role of Doody. In the early Seventies, he nabbed a few small TV roles, beginning as an injured hitch-hiker in Emergency! He also featured in a 1973 ad for the US Army. Then, in 1975, came the first big break, when he was cast as Vinnie Barbarino in Welcome Back Kotter, a huge hit involving a teacher returning to the inner city to teach a gang of lippy, witty teenagers. As Barbarino, the swaggering leader of the pack, armed with a mighty arsenal of rhyming insults, Travolta became the star of the show. Dumb but cool, he became the hero of drop-outs and young girls across the nation. This inevitably brought film roles. He debuted in the exceedingly strange The Tenth Level, with William Shatner. Then came Devil's Rain, with Ernest Borgnine, Ida Lupino and Shatner again. This was a peculiarly silly thriller, wherein Satanists melt their enemies, but it did give Travolta the unfortunately rare opportunity to die (of melting, naturally) screaming "Blasphemer! Blasphemer!" With his charming smile and cocky strut, Travolta had the teenage hooligan off to a tee, so he was perfect as the jealous Nancy Allen's brutish, pig-killing boyfriend in Brian De Palma's Carrie (he's the one who sets up the bucket of blood and unwittingly brings about telekinetic disaster). But he also wanted more serious roles, and so played Tod Lubitch in The Boy In The Plastic Bubble, the tale of a young man confined to a virus-proof environment by a deficiency of his immune system. This was a touching movie, with Travolta performing well. It also saw him begin a relationship with his co-star, Diana Hyland, an actress 18 years his senior who played his mother in the movie. This was love, and for a short while Travolta's life must have seemed like a cakewalk. He had his soul-mate. He had a pop career, enjoying a Top 20 single with Let Her In in 1977 and three hit albums (he actually won a Billboard Award for Best Male Vocals for Travolta Fever). And he had the best part of his young life. That cocky strut was about to take the world by storm as, prior to The Boy In The Plastic Bubble, Travolta had filmed a movie to be named Saturday Night Fever. Here he was Tony Manero - shop assistant by day, disco king by night - and he was fantastic. Frustrated, alienated, thuggish, sweet and, Christ, what a dancer. It's impossible to say whether his smooth moves caused the Bee Gees to sell tens of millions of albums, or whether their music made a star out of him. Whatever, the movie was a genuine phenomenon, with Travolta Oscar-nominated and, better still, a full-blown Seventies icon. The white suit he wore in the movie would later be sold at Christie's for $145,000. Yet, just as all was going so fabulously well, life dealt him a hammer-blow. In 1977, the year Saturday Night Fever was released, Diana Hyland died of cancer, in Travolta's arms. It was a tragedy, accentuated by his mother's death a year later. And it added a terrible pathos to Travolta's next movie, Moment By Moment, where he played a young man in a turbulent love affair with an older woman, Lily Tomlin. But, much as he may have liked to have taken an elongated sabbatical, Travolta's star was remorselessly rising. Next, in Grease, he was Danny Zuko - another ladykilling teenager, this time subdued by the prim and then (after a morally dubious transformation) profoundly tarty Olivia Newton-John. The movie spawned huge hit singles for Travolta (You're The One That I Want, Sandy) and itself made over $400 million, making it the most successful musical ever. Now Travolta tried to escape that pretty-bad-boy image, with wretched results. In Urban Cowboy he was outshone by Debra Winger and Blow Out, a superior thriller by De Palma, was not a hit. Travolta tried to repeat his first big successes by reuniting with Newton-John for Two Of A Kind, and reprising his Tony Manero role in Staying Alive. But the former was trite nonsense, while the latter (where director Sylvester Stallone pumped Travolta up to beefcake size) was just Rocky Does Ballet. Appalling stuff. Travolta claims now that he deliberately took it very easy during these next few years, indeed he says he finally did take that sabbatical - four year's worth. Holding percentages of both Grease and Saturday Night Fever, he certainly had no need to work. He did challenge himself by appearing in Robert Altman's Pinter productions, The Room and The Dumb Waiter, but his work up until 1994 -Perfect, Twist Of Fate, Shout, Chains Of Gold, Eyes Of An Angel, and The Experts - could be used by MI6 to make master-spies spill the beans. Best not to dwell on his appearance in Prince Edward's Grand Knockout Tournament. Content or otherwise, Travolta was not getting the best parts. Not even the success of the Look Who's Talking trilogy (where, in cabbie James Ubriacco he found the character he believes to be most like himself) changed that. What DID change it was the spawniest slice of good fortune. It's often said that Travolta was saved by Quentin Tarantino. And that's so. But Tarantino only cast Travolta in Pulp Fiction because Michael Madsen chose to appear in Kevin Costner's epic Wyatt Earp instead. So, Madsen's bitter loss (and he is hilariously bitter about it) was Travolta's gain. Accepting a mere $140,000 for his services, his Vincent Vega was a brilliantly jovial partner for born-again assassin Samuel L. Jackson. He was sleazy and cruel, but also, with his dopey speeches about chicken burgers and his groovy dancing with Uma Thurman, much like Tony Manero. Once again he was Oscar-nominated. More hits followed. There was the Hollywood gangster comedy Get Shorty (for which he won a Golden Globe): he was impressively mean in John Woo's explosive Broken Arrow: he managed to carry Phenomenon, and the cute Michael: then there was more pyrotechnics, with Nicolas Cage in Woo's Face/Off: then Primary Colours and, proving his re-found status, a place in the all-star cast of Terrence Malick's The Thin Red Line. And it got even better. With his name now firmly above the titles, Travolta enjoyed major success with both A Civil Action (as a flashy lawyer busting polluters) and The General's Daughter, tracking down a killer in the military. And all this despite an incredible knack for turning down prime roles. 1997 alone saw him miss out on Good Will Hunting, Jackie Brown and As Good As It Gets. Nothing new, really. At the beginning of his career, by turning down Splash, Days Of Heaven, American Gigolo and An Officer And A Gentleman, he inadvertently helped launch both Tom Hanks and, especially, Richard Gere. Yet, having won it all back, Travolta then faced another struggle - to keep his position. Battlefield Earth, written by L. Ron Hubbard, directed by Roger Christian, the second unit director of The Phantom Menace, and costing upwards of $70 million, really ought to have been good. Sadly, it was dreadful. And Travolta, as Terl, Psychlo Chief Of Security, could not save it. In fact, he won a Golden Raspberry as Worst Actor (he'd earlier got a Special Raspberry as Worst Actor of the Eighties). Some critics said that it was an advert for Scientology, being written by Hubbard, the Church's founder, and starring Travolta, a church member (he was introduced to it by actress Joan Pratter, back when he was doing Devil's Rain, and is a keen advocate), but Travolta quite rightly denied it. Instead of whining about the film's failure, he revelled in his own success in getting it made in the first place. And he enjoyed a reward of sorts when the movie quickly became a camp cult hit, with fans even organising conventions to celebrate it. After this setback, Travolta tried again with Swordfish, a CIA/computer hacker thriller by Dominic Sena, but this did not fare much better, despite a minor controversy around how much money Halle Berry was paid to bare her breasts. Then came Domestic Disturbance which saw him as a divorcee whose child accuses stepdad Vince Vaughn of being a psycho criminal. Next was John "Die Hard" McTiernan's Basic, where Samuel Jackson played a tough and thoroughly unpopular sergeant on a military base in Panama. In a heavy storm several men die and Travolta (back in General's Daughter mode) is brought in to investigate. The movie was full of twists and turns (some might even say cinematic cheating) but, perhaps because the US were presently involved in a real war in Iraq, it stiffed at the US box office, bringing in only $25 million - not much more than Travolta was paid himself. 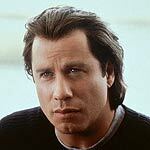 Indeed word was now spreading that Travolta's wage demands were now stifling his career. One rumour was of a $20 million fee plus another $4 million in expenses (well, jet fuel is pricey these days). He had, after all, not had a big hit since Face/Off. He didn't improve his situation by turning down the role of lawyer Billy Flynn in the money-spinning, Oscar-winning Chicago, which coincidentally broke the $100 million barrier in the week of Basic's release. That role was then taken by - yes, you've guessed it - Richard Gere. Battling to regain his footing in the industry, Travolta now went populist. First he stepped onto the comic-book bandwagon with The Punisher (an earlier version, starring Dolph Lundgren, had actually been in the vanguard of this new wave of comic adaptations). Here Thomas Jane played the titular vigilante who swears revenge on all criminals when his family is massacred by Travolta, a notorious money launderer who's thoroughly ticked off when his son is killed in an FBI sting. Now expert at these baddie roles, Travolta would add depth with his convincing exhibition of grief for his son and jealous possessiveness over his wife. Following this would be Ladder 49, another action movie lifted above its genre by excellent characterisations. This would see Joaquin Phoenix as a fireman trapped in a major conflagration, with Travolta as his chief and mentor, single-mindedly co-ordinating the rescue attempt. Throughout, the movie would flash back over Phoenix's career, thoghtfully contemplating who'd be a fireman and why. In between these would come A Love Song For Bobby Long, where Travolta would take the unusual step of choosing to play a character older and far hammier than himself. In the movie, young trailer-trashy Scarlett Johansson returns to New Orleans after the death of her junkie lounge-singer mother. On arrival she discovers her mum's house is occupied by drunken, intellectual dandy Travolta and his geeky sidekick Gabriel Macht. They claim the mother left them two-thirds of the property and intend to stay, so Johansson moves in and common ground is sought. She tries to get the rude and obnoxious Travolta to stop drinking, he tries to push her into further education and, gradually, as his painful past is revealed, a greater and warmer understanding is reached. Ladder 49 and The Punisher would pull Travolta back up again after his second fall from grace. He'd rise further up the Hollywood food-chain with 2005's Be Cool, reprising his role as Chili Palmer in Get Shorty. This time, disenchanted with the film industry, Palmer moves into music, signing up torch singer Christina Milian (who brings trouble via her connections to the Russian mob) and then lounge-singer, part-time bouncer and full-time gay The Rock. The film would also see him enjoy reunions with several former co-stars - Danny De Vito, Harvey Keitel, Vince Vaughn (a man overly fly for a white guy) and Uma Thurman (a music exec's widow Palmer romances). All the while, the animation A Light Knight's Odyssey, featuring many of Hollywood's top Scientologists, lay on the shelf. As did Tarantino's initial notes for The Vega Brothers, a prequel to both Pulp Fiction and Reservoir Dogs, that would see Travolta and Michael Madsen reappearing as Vincent and Vic Vega respectively. In the meantime, Travolta is enjoying life amongst the prime movers. Back in 1989, while filming The Experts, he met actress Kelly Preston. She was married at the time and, when that ended, she saw George Clooney (she was also briefly engaged to Charlie Sheen). But Travolta was due a break in love, and the pair re-met and were married in September, 1991, first by a French minister of Scientology and then, when that was declared illegal, by someone deemed more official. The couple have two children, son Jett and daughter Ella Bleu. Travolta still loves dancing, and music, and he loves to fly jets, owning at least four. In 1993, after a total electric failure, at night and in icy conditions, he managed to safely land his Gulfstream. That's Travolta - smooth beyond the call of duty.